Have you tried a supervised health program for more than a month without results? Was it recommended by your healthcare provider? Did you lose less than a pound a week? Did it include diet and exercise? If your answers are YES, your doctor might now prescribe the well known diet medicine, Phentermine. It is designed to create feelings of fullness and reduce cravings while it suppresses your appetite. By the time your physician recommends Phentermine, you probably already have some monitored results from your attempted weight loss program. Most likely you had a discussion about the risks of Phentermine. Take a few moments and review them now. When you have a Body Mass Index over 30, you are officially "obese". This definition of obesity is used for therapy guidelines and for insurance use. Unbridled obesity carries its own risks. Obesity predisposes patients for heart conditions, gallstones, some forms of cancer, liver disorders, metabolic disorders and more. Always check with your doctor prior to beginning drug therapy of any kind. If you already have a heart condition or diabetes or hormonal imbalances or chronic anxiety this medication may not be the most prudent choice for you. Blood pressure may be elevated when taken in combination with anti-depressants such as MAO inhibitors. Heart valve defects may result from combinations of drugs that affect your heart and brain, such as Fenfluramine. Phentermine is not recommended for patients with glaucoma, severe anxiety or coronary heart disease. Alcohol and Phentermine do not mix. Some Phentermine diet pills purchased from internet sources do not contain any active ingredients. They cost less but they do not work. Phentermine is the first FDA-approved diet medication for treating obesity by suppressing the appetite. Phentermine leads the pack. It has a positive track record for helping achieve weight loss and has kept that results oriented reputation for a long time. 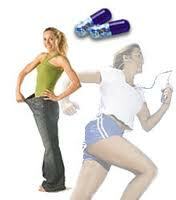 Phentermine is both an appetite suppressant and a stimulant. Monitoring for side effects is advised. Patients continue with a sensible weight loss and exercise plan while taking Phentermine. Treatment with Phentermine must be monitored by your physician. Phentermine treatment is expected to be three months or less. Gradual reduction in dosage is recommended at the end of Phentermine use. 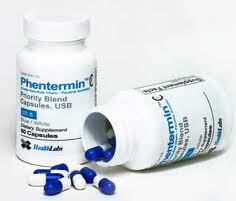 Phentermine is a prescription drug with a proven record. Keep in mind that these are notable risks. Work closely with your doctor if you decide to follow a Phentermine protocol. Be alert for known side affects and stay with your regular diet and exercise program throughout.